More than half of the US workers didn’t negotiate their last salary and left money on the table. No wonder. Hearing “What are your salary requirements?” from an employer you actually want to work for breaks everyone. However, for the first time in years, wages have significantly increased. And studies show that those who ask for higher pay succeed if they follow the right salary negotiation strategies. You’re about to find out how to get more money out of a job offer and beyond. Hefty savings account, here we come! How to negotiate a higher salary. How to understand your worth and ask for more money in and after a job offer. Tips on how to ask for more money during a job offer and get it. What not to do when negotiating your salary. What to do after salary negotiations. How to make up in perks what you didn’t get in the salary offer. More than half the workers in the US didn’t negotiate the salary offer on their last job. About 52% of men surveyed said they accepted the salary they were offered and didn’t negotiate. That’s right. Most job seekers take what they're offered, not what they deserve. According to recent research, failing to negotiate your salary when first accepting a job offer could be costing you over $600,000 in salary during a typical career. If that’s not enough to make you want to get out of your comfort zone, what is? Yes, there’s money on the table, you just need to ask for it. But before you scream show me the money!, you need to find out how much more you can ask for. Most employers don’t disclose how much they pay. You need to use tools like Glassdoor or PayScale.com to see what salary can be expected. Many job openings on Glassdoor, LinkedIn, or Adzuna will reveal a salary estimate which shows you how much a role could pay before you even apply. Consider additional compensation, like bonuses and perks, that have monetary value: insurance, medical coverage, and other perks. Remember to list those when you negotiate the salary on your new job. Sure, the job agent you’ll be negotiating the pay with won’t tell you much, but they’ve got competition. You’ve been contacted by recruiters and headhunters but didn’t like the jobs offered. You can still get back to them and ask about the expected salary. Even a salary range can be useful. Asking friends, colleagues, or former employees for feedback can give you the extra edge as well. With a specific range in mind, you’ll feel much more empowered going into an interview or renegotiating your current salary. If you’re more experienced, coupling research with your own performance will certainly give you a good salary estimate to target. 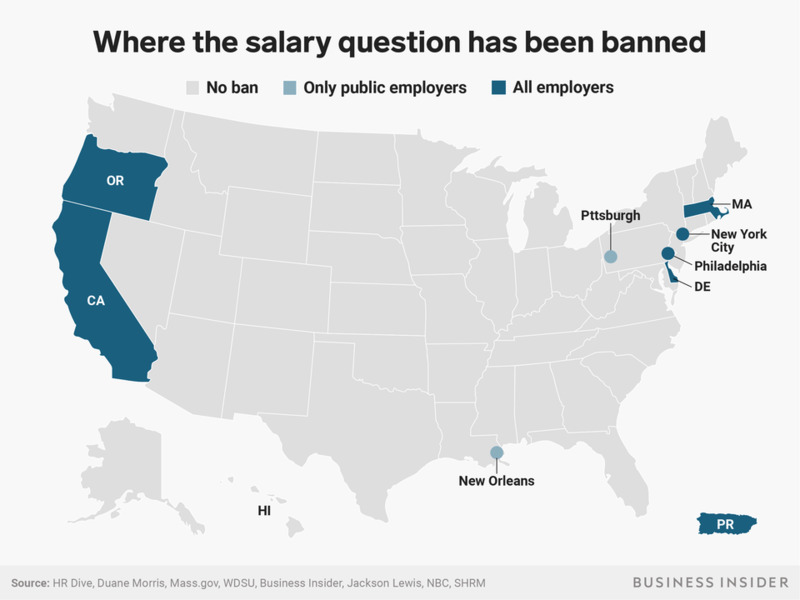 If you are still employed but want to leave, ask for a raise. This way, you might not have to leave if pay was the problem. Since you’re intent on leaving, at least you’ll know what the current employer will be willing to give you. That’s usually a reasonable benchmark, as long as your relationship has been good. Give specific examples of value you’ve given to employers in your career. When asking for a raise, detail your accomplishments, and ,if you can, highlight the time and money saved to the company. Created a process that saved the company thousands in unpaid invoices? Highlight this when you answer the “Why should we hire you” interview question. Be confident in your delivery. If you don’t believe your worth, no one else will. Employers will give you an expected salary range, and you need your own. How much do you need to make ends meet and would accept if there was no better alternative around the corner? How much people like you make. Be real, consult the research you’ve done. That’s your dream pay--one that would make you feel like you got a raise before you even started. you don’t want that. Puff, gone! Your salary range is between your midpoint and your high point. Use that salary range when talking to prospective employers. These steps are crucial to learn how to negotiate a starting salary. How to negotiate your salary as a new graduate? If you’re starting out or just left college, you might not have much to show off. In this case, pitch your enthusiasm and work ethic. At the very least, ask for about ten percent more than what you're offered. Pro Tip: Much of a successful negotiation comes down to feeling confident and comfortable. Practice your pitch at least once before you dive in. If you can find someone to listen to your case, all the better! He’s currently applying for a job as an account executive at a high-growth startup. He answered all the technical questions and aced behavioral interview questions. Both sides agree: he’s the perfect match. Jim’s heart starts pounding... “Salary isn’t important to me. I’m here because I believe in your product,” he mumbles. Downplaying salary expectations to get a foot in the door is a terrible mistake. It’s like falling to your knees in desperation. Let’s be honest: both sides are playing poker. The interviewer comes in with a pre-determined salary range. They hope the lower number will be enough. You want the higher number. Hell, you want to go off the charts! Avoid giving a specific answer too early in the process. Turn the tables on the interviewer, and get them to give you a range. Make a strong case for your range by providing evidence of your worth. Give yourself time to come back with a specific counter offer. If your salary ranges overlap, you have something to work with. Ask if the salary is negotiable. Ask how you can get closer to the higher number. It’s basically them trying to figure out how low they can go. Simple as that. Now… Remember how you calculated how much you really made? Perks and all? Time to list those benefits to up your base salary! Yes, this is awkward. But it’s awkward for them as well. Embrace the awkwardness, and continue to show them why you are the perfect hire. Never be afraid to discuss salary expectations. The fact you’re merely asking for more is not reason enough to reject you. Especially if the job ad states salary open to negotiation. Remember the salary range you came up with? Use the information you’ve collected so far. Pro Tip: As much as you need to decide what’s negotiable and what’s not for you, put yourself in your prospective employer’s shoes. Be realistic about the size and type of company interviewing you and think about whether they can afford being flexible in the first place. How to Negotiate the Best Salary After a Job Offer has Been Made? You have a job offer, which means you’ve successfully nailed down the interview process. It’s true, most companies will send you a job offer via email. And, let’s be honest, you’re already shivering at the idea of making a counteroffer. So doing it by email sounds like the safest option. Wait, didn’t you say salary negotiations are a must in one’s career? Salary negotiations should be done offline—case closed. Email makes your requests (salary increase, more days off, child care, etc…) feel like a list of demands. And you want to avoid that at all costs! The last thing you want is to appear ungrateful or demanding to your future employer. Emailing a list of demands takes the salary negotiations out of the open dialogue that should be happening between your hiring manager and yourself. However, email has its place in the negotiation process. Sound confusing? I’m grateful for the opportunity and excited for next steps. I was wondering when would be a good time for you to discuss a few questions I have. Give yourself a tap on the back, you’ve made it. The games are about to begin! Find a quiet place where you can speak without any distractions. It’s important to set up your own space where you feel the most comfortable, this will without any doubt give you more confidence throughout the call. Have some notes in front of you in case you want that extra boost during the call or just as a general safety net. Having a few notes will help you ease your nerves, too. This single paragraph could get you a significant raise in your salary. But, be careful not to over ask here. In case the hiring manager doesn’t bite, here is how to counter back during your call to get some sweet perks anyway. Whether it’s a job relocation package, increased stock options or the possibility to work from home, write down where you might need extra help from your employer or what your desired requirements are. Sometimes hiring managers need to discuss salary or benefit changes with their HR teams, so you can end the call with the understanding that they’ll get back to you when they have an update. Wait—how do I respond if I get a counteroffer that I’m not happy with? You’re the fussy kind, aren’t you? Thank you for the updated offer. I appreciate your hard work on this and look forward to being part of the team. However, I do believe my contributions will be more valuable to the company. I’m confident I’ll be able to achieve X, Y, and Z. Based on the current industry standards, a competitive salary for this position is (insert your sweet counteroffer here). How can we get to that salary level? Pro Tip: Whether or not your salary and benefits package are negotiable, it’s important to know what the future potential for a raise or promotion is. So, make sure you ask about the outlook for salary raises and added benefits before you move forward with any prospective employer. How to Negotiate a Raise? You work hard every day and you’re pretty much an all-star employee, fearless when it comes to meeting expectations and targets. A beast of the cubicle life. However, when it comes to asking for a raise, you’ve pretty much chickened out every time the right opportunity came along. Well, you know what the three rules of fearless negotiations are? We might even throw a Win in this mantra. Well, if only I were the one who came up with this. But Michael Donaldson did. In his books, Fearless Negotiating, he simplifies negotiating into three blocks: your ultimate wish, what you’d still want, and what you’d walk away from. It’s as simple as that. Before you start any conversation regarding revisiting your salary and benefits package, work out the terms of your three Ws and do your homework. Be prepared to share figures of industry benchmarks and a salary range you’d be comfortable with. You’ll be better informed, better prepared and ready to share what you exactly want. How to negotiate a raise after a promotion? A new role or promotion provides a great opportunity to start salary negotiations. Don’t ever buy into the argument that pay growth is capped. Again, doing your homework here is mandatory. Find out what the current pay scale of your new position is and don’t even question receiving that or more. Be prepared to show your contribution to the company and what you’ve accomplished during your time with them. Showing some metrics won’t hurt either. If your manager has been impressed by your performance lately, then this is your moment to bring up the subject. No shame! When considering a promotion, research what it would cost the company to try and hire externally. At the very least, ask for that. How to negotiate an increase in salary as a woman? 43% of millennial women reported compensation as their number one challenge. Women from all career levels and fields, are very often sharing stories and frustration around equal pay. If you’re one of them, keep reading. Salary inequalities may actually come from a lack of salary negotiations. Or at least the courage to jump in with both feet. When asked “Did you attempt to negotiate when you got a job offer?”, a study found that only 7% of women did, against 57% of men. Women are concerned about the reputational risks of negotiating. Any salary difference would be cut dramatically if women started negotiating in the first place. So if you’re a woman, please know that it doesn’t hurt to ask. You can maximize your pay while still being liked and not appearing to be too pushy. Think about it this way: if you don't ask, the answer is always no. And if you never hear no, then you're not asking nearly enough. What Not to Do or Say During a Salary Negotiation? By now, you’re to salary negotiations what Reagan or Gorbachev were to the end of the Cold War. But do you know what to avoid at all costs when it gets heated? Don’t start the interview by launching right into salary and benefits. It’s important to show that you’re interested in the organization and the role you’ll play before tackling the money part of it. Don’t ever say “I’m the best person you’re going to find”. When you say that, you’re making it all about you and defying your employer. They won’t hesitate at proving you wrong. Keep it professional no matter what. Threatening to quit your job won’t help either and is extremely unprofessional. Apologizing for negotiating is literally the worst. Talking pay raise is uncomfortable and one’s natural tendency is to try and smooth the edges by saying sorry. Avoid that if you can. Any recruiter will see it as a signal that you’re willing to settle for less than what you have in mind. Take it from the masters of them all: FBI hostage negotiators. When confronted with a sticky situation, they avoid negative language and instead focus on positive language. Follow this rule and instead of saying “No, that doesn’t work for me” you could say, “I’d be more comfortable with...”. Negative words will only make the collaboration and cooperation difficult. Show respect and consideration for what the company needs. Never start a sentence with “I want.” Instead, show that you know what your team and company wants and needs and that you’re able to help meet that. Try to work things out for the benefit of both parties. Pro Tip: Always ask for 24 hours to consider any offer that has been made to you. Past the adrenaline of the negotiation and the enthusiasm of receiving an updated offer, you might want to change your mind. Taking a step back and assessing your options are a great way to ensure your next step is the one you want to take. What to Do After a Salary Negotiation? If you were successful at negotiating a higher salary, knowing your next moves is crucial to ensuring you meet your expectations and those of the managers trusting you with new responsibilities. Since you stepped up and showed your worth, you’ll have to prove you were right about deserving more pay. Quite often, a cushy pay raise comes with a new title. Embrace it, own it, live it. Your boss or hiring manager expects more of you now. And going beyond whatever they had in mind is important for getting that next pay raise or promotion. If you weren’t able to negotiate a salary that you’re happy with or feel you need to decline any offer that has been made, make sure you do so on the best of terms. Be gracious and never burn bridges with potential referrals or business contacts. In both cases, salary negotiations are never over. Always check that you’re being paid fairly for the amount of work you’re doing. The grind never stops my friend! Pro Tip: Make sure you get the details of your new salary or new role in writing (a letter or email should do it). Most importantly, make sure you know when your job changes and what exactly is expected from you. Always do your research. Coming prepared and having industry knowledge will help you define your worth. Build a business case. Focus on the return on investment you provide day-to-day and highlight relevant achievements, quantifying them as much as possible. Timing is everything. Don’t ever catch them by surprise. Schedule a meeting with them via email or in-person. That way, they’ll both have a chance to reflect on your recent performance. Consider more than money. If the company isn’t able to boost your pay, then consider asking for non-financial perks or additional benefits packages. In the long run, this could be even more valuable to you and your lifestyle. Any more questions about how to negotiate a salary to really get what you deserve? Favorite salary negotiation strategies? Share them in the comments!